Please share the order form far and wide. Check the latest fundraiser for details. A real strength of our small school is our ability to provided leadership opportunities for all tamariki. 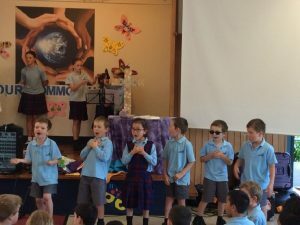 Each class leads assembly once a term which is planned and introduced by the tamariki within the class. This is a wonderful way for our tamariki to practice their skills of public speaking and organisation. Our whānau really enjoy seeing their tamariki shine. 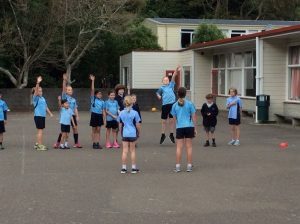 PE monitors support other tamariki by issuing sports equipment for play during lunchtime. 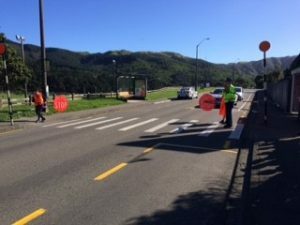 Our road patrol monitors work with volunteer parents each morning to provide a safe crossing for our tamariki. We are the latest Road Patrol school in Wellington and our students really enjoyed the Orange Day Parade along Lambton Quay to thank them for their service. 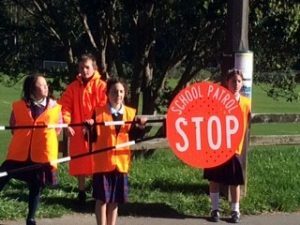 Our road patrollers are trained in partnership with the NZ Police. Our Peer Mediators are able to use their life skills in conflict resolution, to encourage other children to handle conflict in positive, non-violent and constructive ways. They provide opportunities for children to solve many of their own conflicts within the playground. Each of our peer mediators are trained and undertake to monitor the playgrounds twice a week. This programme offers our year 7/8 tamariki an exciting pathway for delivering Education Outside the Classroom and the Health and Physical Education learning area while building their toolkit for leadership and resilience. The following video was completed as part of our students volunteering component.